According to the Bangladesh Bank (BB) data the number of accounts with agents increased to 2.46 million at the end of 2018 from 1.21 million in 2017. In the year 2018 the number of agents increased to 4,493 from 2,577 in 2017 and the number of bank agent outlets also increased to 6,933 from 4,157 in the same period. During the period deposit collection through the agent banking was Tk 31.12 billion which was nearly Tk 14 billion in 2017. In 2018 official data show Bangladeshi expatriates sent Tk 55.57 bllion through the agent banking channel which was Tk 19.82 billion in 2017. Talking to BSS Islami Bank Bangladesh Limited (IBBL) Deputy Managing Director Abu Reza Mohd Yeahia said agent banking is moving fast across the country since the banks are providing all sorts of efforts to bring the grassroots people under the banking services. “Agent banking is providing banking services by engaging representatives under a valid agency agreement” he added. Terming the agent banking a great initiative of the central bank he said generally a bank needs a number of staff and huge expenditures to operate a branch. “If one bank can run its activities through agents it will be helpful for both the bank and the customers” he added. “We have already received permission for 305 outlets. We have also started services in 305 outlets” he added. 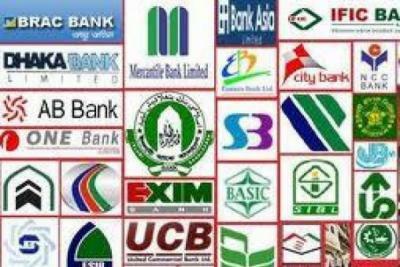 The commercial 19 banks which are currently running agent banking activities are Dutch Bangla Bank Bank Asia Al-Arafah Islami Bank Social Islami Bank Modhumoti Bank Mutual Trust Bank NRB Commercial Bank Standard Bank Agrani Bank First Security Islami Bank Mid Land Bank The City Bank Islami Bank Bangladesh Limited The Premier Bank United Commercial Bank Limited AB Bank NRB Bank Brac Bank and Eastern Bank.